We assume that you have already Installed Node.js. Make sure Node.js command line is working (on Windows) or runnable in Linux/OS X terminal. 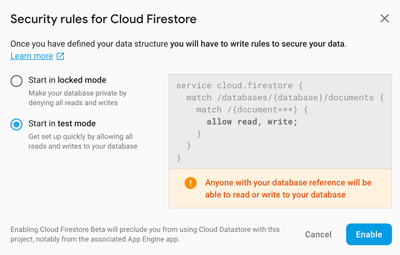 Now, the Firebase Firestore Database is ready to access. Make sure that your iOS and Android app match with the configuration files (json/plist). You can get the configuration parameters in the Authentication side menu then you will see the Web Setup button on the top right of the screen. To install Vue-CLI 3 type this command from the Terminal or Node command line. Next, check the version to make sure that you have the 3.x version of Vue-CLI. Next, create a new Vue.js project by type this command. For now, use the default for every question that shows up in the Terminal. Next, go to the newly created folder. 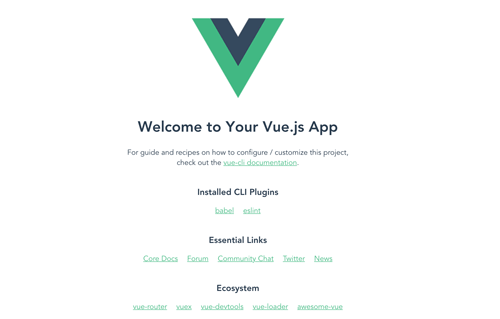 To make sure that created Vue.js project working, type this command to run the Vue.js application. You will see this page when open `http://localhost:8080/` in the browser. 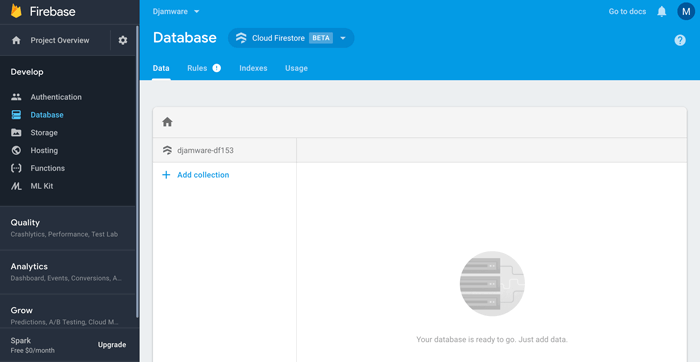 We use Firebase module to access the Firebase Firestore Database. For that, type this command to install the module. Next, create a new file `Firebase.js` in the root of the project folder for Firebase configuration. Open and edit `src/Firebase.js` then replace all codes with this. You can find or get those configuration parameters by click on Web Setup button in the page authentication of Firebase Console. By default `vue-router` is not installed. For that, type this command to install that module. To register or create routes for the whole application navigation, create a router folder and `index.js` file. Open and edit `src/router/index.js` then add this imports. Add the router to each component or page. Add Vue files for above-registered components or pages. Finally, add or register this router file to `src/main.js` by adding this imports. Register the Vue-Router after `Vue.config`. Modify `new Vue` to be like this. Before create or show data to the views, we have to add Bootstrap-Vue. Type this command to install the module. Next, open and edit `src/main.js` then add this imports. Add this line after `Vue.config`. Now, open and edit `src/components/BoardList.vue` then add this lines of codes. Open and edit `src/components/ShowBoard.vue` then add this lines of codes. Open and edit `src/components/AddBoard.vue` then add this lines of codes. Open and edit `src/components/EditBoard.vue` then add this lines of codes. 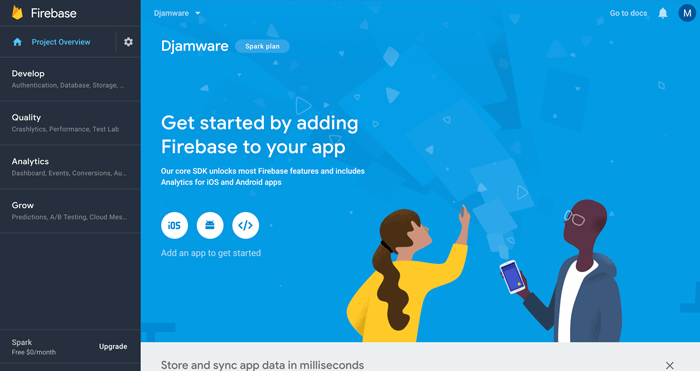 This time to test all complete the Vue.js and Firebase Firestore Database Stack CRUD web application. Type this command to run again this web application. And here the application looks like, you can test all CRUD functionality. That it's, the Vue.js Firebase Tutorial: Build Firestore CRUD Web Application. You can find the working source code from our GitHub.